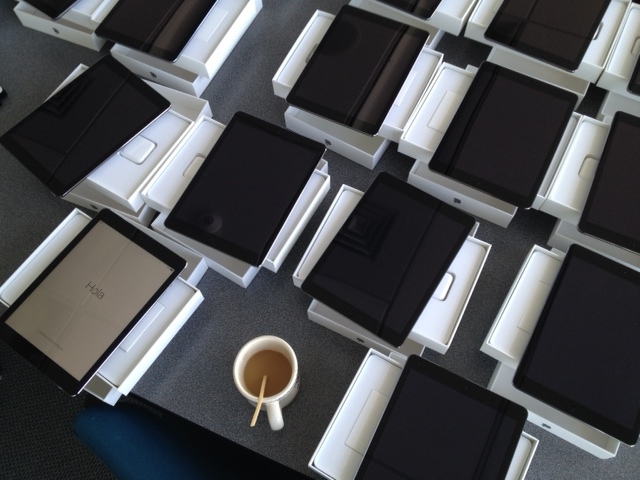 Next Generation Preschool Science (NGPS) is kicking off the first pilot study — with a whole bunch of iPads! The team will be finding out how preschoolers and teachers use the NGPS simulations and digital toolkit to explore plants in the preschool classroom. Next Generation Preschool Math just finished a randomized control trial to measure the efficacy of the intervention, so findings are on their way soon! The team will get the results and modify the apps one last time before publish the apps in the Apple App store.